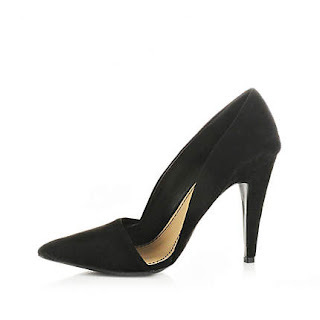 Everyone has been going on about Zara's amazing heels this season - but as much as I love the brand, their shoes HURT. And they're overpriced. Needless to say though, I wanted a pair of their black assymetric fronted heels for this season and was gutted that they were a) £70 and b) from Zara. However, I managed to find an identical pair from the comfortable-footed River Island - for £40. Yay me - I bought them as a birthday treat, yep, another one... Oops. Wow, great find! I've been lusting after those Zara heels for ages as well, but didn't want to pay 70 quid. Will definitely go for the River Island ones!